The choice of wheels & tyres can make a dramatic difference to your 4x4. Over the years we have had experience of many different brands and types of tyre across as many terrains. We supply and recommend the following brands; BF Goodrich, Cooper, General & Pirelli. When it comes to wheels the choice is vast. We favour the American Racing brand but are happy to source other brands for you if have a particular wheel in mind. "For the past 130 years, BFGoodrich has been at the heart of the motor car and tyre world... From the first car marketed in the United States, through the invention of the tubeless tyre, the take-offs and landings of the Columbia space shuttle, motor racing, BFGoodrich tyres have led an adventurous life! In addition to very efficient products, BFGoodrich offers that little something which makes it a legendary brand: Driving pleasure, strong sensations or extreme adventures. BFGoodrich is closely linked to the concept of driving pleasure, whether at the wheel of a 4x4 in a thick cloud of dust, or at the controls of a powerful thoroughbred." Applications: BF Goodrich offer tyres to suit all conditions: from on-road to rock crawling. "While many leading brand 4WD tyres are made with lighter construction and less tread, Cooper Tires continues to produce strong, deep-tread tyres. The result is Cooper Tires are America's most trusted 4x4 tyre." 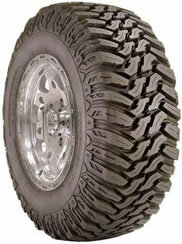 Applications: Cooper Tires offers tyres to suit all conditions: from on-road to rock crawling. "General Tire has been around for nearly a century and it is still well recognized and known brand. It was found in 1915 and today it is now part of Continental Tire North America, German based company. Over these years of expertise, General Tire has been able to develop the quality, performance and great value that you can always count on. Due to the unique tire features and various sizes, General Tire appeals to broad range of customers." 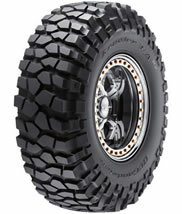 Applications: General Tires offers tyres to suit all conditions: from on-road to mud. "Pirelli Tyre is today the operational holding company for a group involved in the design, development, production and marketing of tyres destined for various types of vehicle: cars, light vehicles and motorcycles (Consumer sector, 70% of revenue), buses, trucks, agricultural and earth moving machinery, and the production and marketing of steelcord (Industrial segment, 30% of revenue). Within this market, Pirelli Tyre focuses in particular on the high-end segments characterised by elevated techno-logical contents and high performance. These are segments in which Pirelli has established itself in positions of leadership with regard to both its car and motorcycle tyres: Pirelli tyres are today seen as synonymous with quality, emotion and ultimate performance." "We have evolved with the changing landscape of the automotive market into a company with over a dozen brands, all developed with the purpose of providing high quality, cutting edge design wheels for the automotive aftermarket. From Hot Rods to Muscle Cars, Tuners to Trucks, Street Strip to Urban Cruising, on the road, off the road or on the track, American Racing Equipment, Inc. has a wheel that meets your needs." 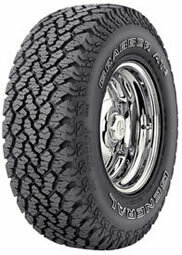 BF Goodrich Rock Krawler T/A Tyre. 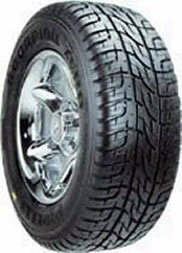 Pirelli Scorpion Zero 4x4 Tyre. 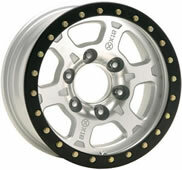 American Racing ATX Chamber Pro Bead Lock Wheel.